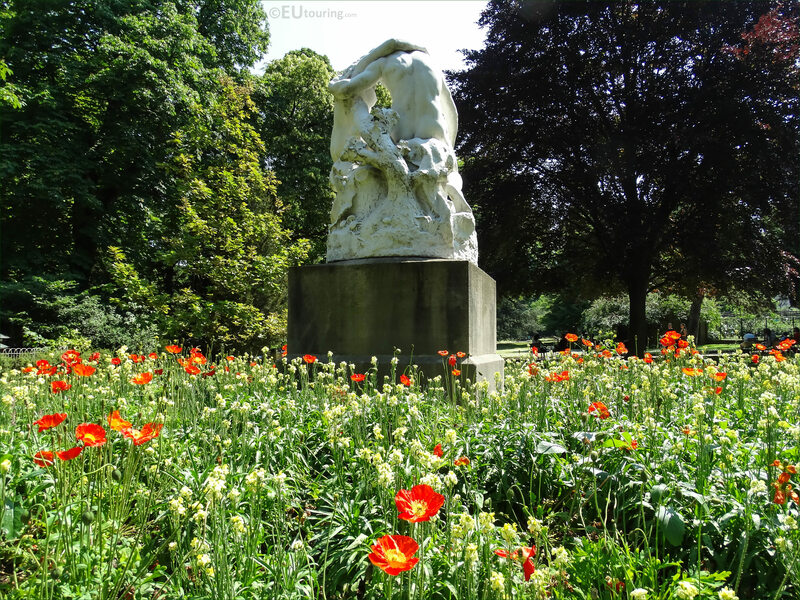 You will find numerous different types of flowers within the Jardin du Luxembourg and we took these high definition photos showing the Papaver Nudicaule, which is the Iceland Poppy.. 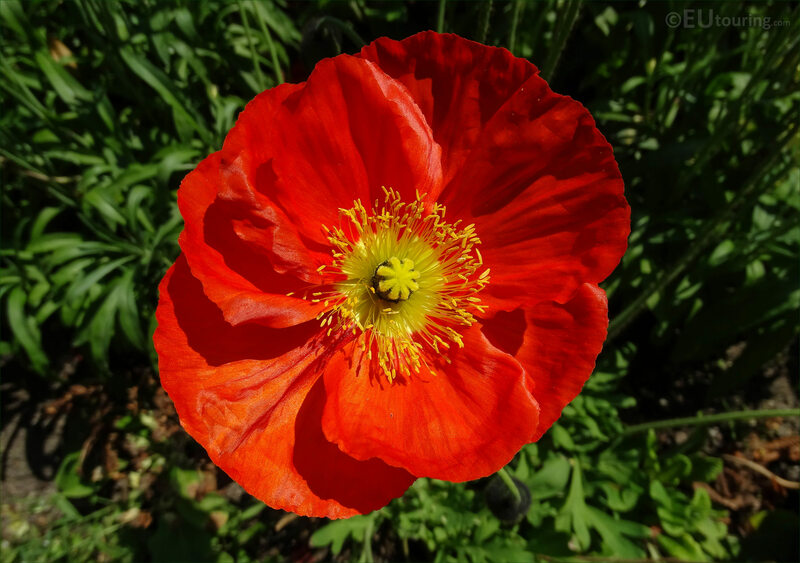 This first HD photo shows a close up of the Iceland Poppy, which has a botanical name of Papaver Nudicaule, and although you can see here this is a orange-red colour with a yellow centre, they can also come in pink, yellow, etc. Mixed in with other flowers the Iceland Poppy provides long lasting blooms with a vibrance of colour that flowers in late spring, and they come from sub polar regions of Europe and North America, yet ironically considering the name, you will not see these in Iceland. 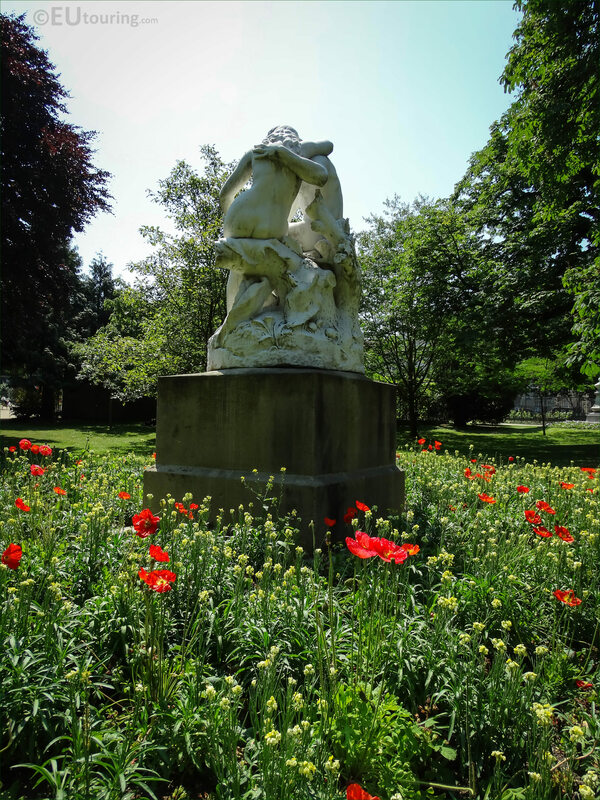 Now one of the lovely things about the Luxembourg Gardens is that the flora changes with the seasons, yet the city of Paris also have a standpoint of not using any pesticides, so the fact that the Papaver Nudicaule attract birds, butterflies and bees, it is understandable as to why this has been one of the many varieties of flowers chosen for this garden. 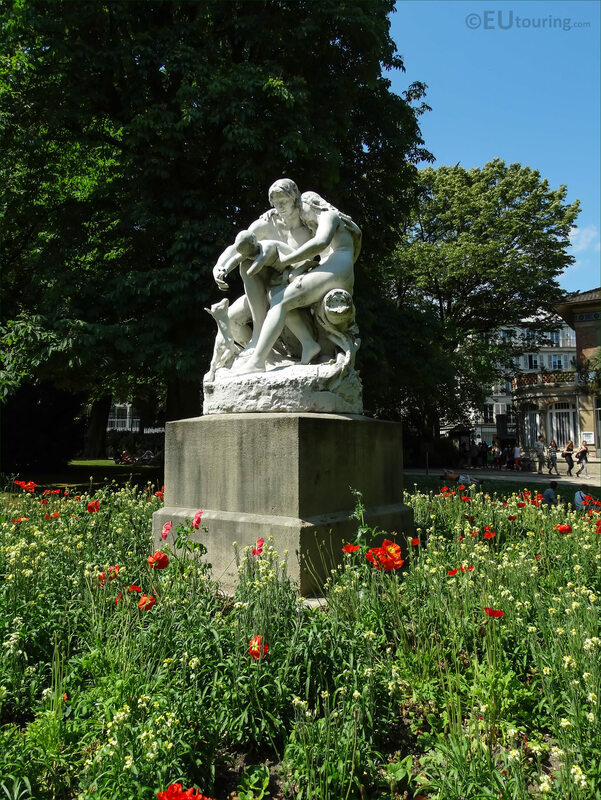 And in this last image you can see the flower bed with the Iceland Poppies surrounding a statue called Joies de la Famille, which is located close to the Apiary, or beehives, and the Pavillon Davioud in the south west part of the Jardin du Luxembourg in the 6th Arrondissement.